These exceptional students were admitted to the 6th co-hort of the LINE program in August of 2012 and committed to 10 months of study to earn their certificates. 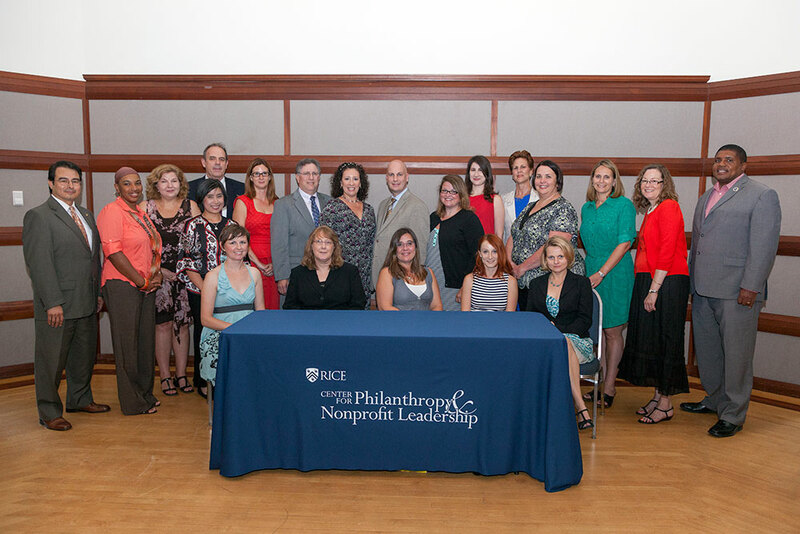 They participated in class days devoted to fundamental aspects of leadership and organizational management, financial management, talent management, marketing and public relations, fundraising and legal and ethical issues for nonprofits. In addition, each student completed a practicum project that tackled a specific issue for a local organization. This year, twenty-four organizations were served by the students in the LINE program. We look forward to working with the next group of professionals that are admitted to the LINE program this fall. Applications for the 2013-2014 co-hort are due on July 15, 2013, you can download an application on our website. If you have any questions, please visit our website at line.rice.edu or contact the Center directly at 713-348-6009.